As part of my initial research on thru-hiking the Ming Dynasty Wall, I constructed a timeline of all hikers I could identify and some descriptive statistics. I have attempted to triangulate all information using media articles, books, blogs, and information from this forum. Nevertheless, there remain some gaps. Do any of you have additional information to add? Sources are appreciated. Thank you in advance! Can't have Ooi Thean Hin without chinoook. Chinoook might have someone to add... "
"Can't have Ooi Thean Hin without chinoook." BTW, only did 3,000km in 165 trekking days. Duration: 9 Sep 2009 - 20 Oct 2016. Well noted on the details for Ooi Thean Hin. Thank you! I'm finding very little information confirming the thru-hikes of Izabela Jankowska and Miranda Ford, Turner Savard, and Rachel Dickinson and Diwen Cao. Any additional information on them? This and this should help with Turner Savard. Most people did not walk the entire thing (not with Liaoning, even not following the entire wall (in Hebei escpecially)). I am sorry. I still claim to have walked more than everyone yet along the Great Wall (of Ming Dynasty). Whatever they write. It is not as easy as "just to do a walk". 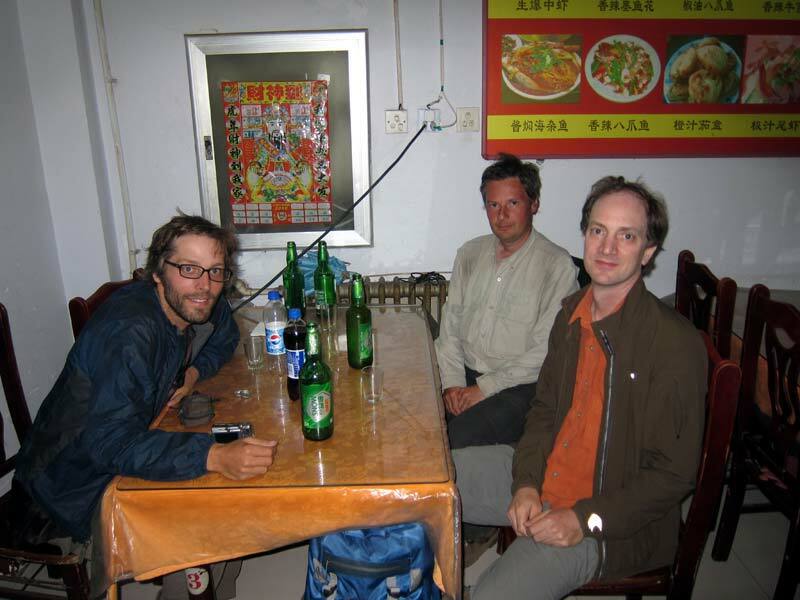 This is Turner, chinoook, and me in Shanhaiguan on 30 September, 2010. He did complete his thru-hike.